Now that it’s fall, the service department at Melloy Dodge would like to remind you that this is a great time to come in for service on your vehicle. 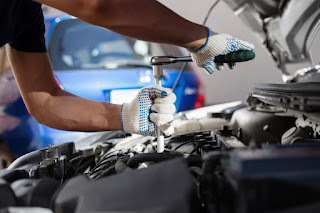 As the weather cools down, you should have a full vehicle inspection, including tires, brakes, fluids, belts and hoses. You may also need to rotate your tires if you haven't done it recently. Depending on the mileage on your vehicle, you may be ready for an oil change and a coolant flush – you'll be able to get all of this done in one visit. When you use the service center at Melloy Dodge, you will receive genuine Mopar parts. Furthermore, we provide performance parts and Mopar accessories for those who want to upgrade or add additional accessories. Our service center offers many amenities. If you are waiting for your vehicle, make use of our free WiFi to get work done, read your electronic reader or to just browse the internet. If you need to get right to work and need a ride, use our drop-off service. We also provide a shuttle service or a rental vehicle if you don't have the time to wait. Contact our service department at Melloy Dodge to schedule an appointment for a checkup and maintenance for the fall.